There’s a lot of it about this year; cow parsley that is. I’ve noticed more of it than usual along roadsides and hedge banks all over the country. Quite often, in spring, it’s easy to be overcome by the profusion of everything after a long winter of grey and brown. It’s usually the very greenness of the world around here that’s breathtaking. This year there is green in wild abundance. And that’s fantastic, but the cow parsley has really gone particularly crazy. Cow parsley Anthriscus sylvestris, is a member of the carrot family (Apiaceae or Umbelliferae). It’s the first of the family to flower each spring and as this can be quite a tricky group to separate, its early flowering makes certainty in identification relatively straightforward. In the UK it’s also known as Queen Ann’s Lace, a name that is perhaps more easy to explain than the other – it produces a delicate white and yes ‘lacy’ flower head or umbel. I can also report that cows do indeed like to eat it too. 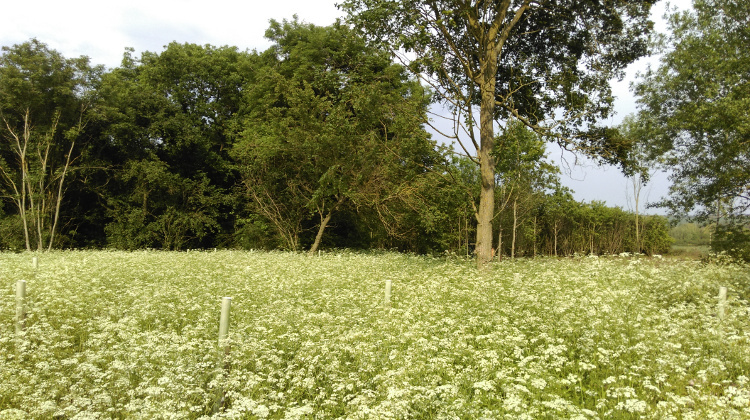 In the area of Chester Wood we coppiced last November and December, there is now a sea of cow parsley. It outstripped the bluebells pretty quickly and although I’m a bit concerned that the shade it’s casting could be affecting the new coppice regrowth, I will admit, it looks quite stunning. What’s caused this is something of a mystery; I guess a combination of climatic conditions – temperature, rainfall, hours of sunshine, etc. that suit this plant perfectly. Presumably there was also a massive seed drop last year. 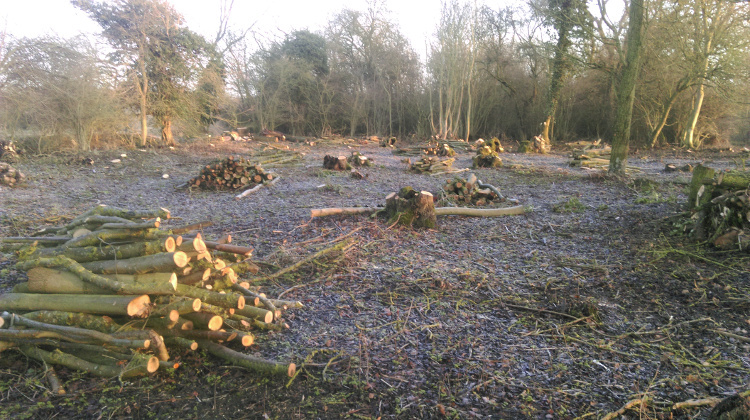 I will be intrigued to see what happens next year – there’s always so much to anticipate when woodland is concerned and there’s usually a long wait.